GERMAN 16-BORE BOXLOCK EJECTOR, serial no. 26719, 29 1/2in. nitro barrels (pitted), 2 3/4in. chambers, bored approx. 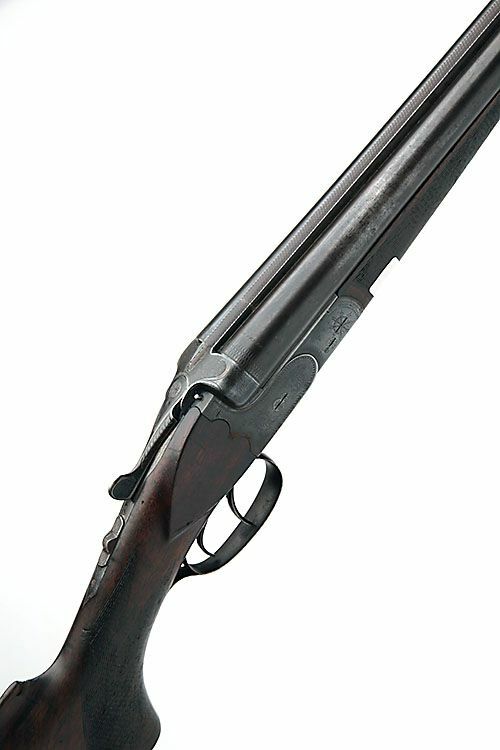 full choke in both, scroll-back treble-grip action, cocking indicator studs, automatic safety, intercepting sears, border and partial scroll engraving, 14 1/4in. pistolgrip stock including 1/2in. extension, sling swivels, weight 6lb. 2oz.